You are here: Home / LifeTopix / Common Questions / Q. How can I delete items in bulk? 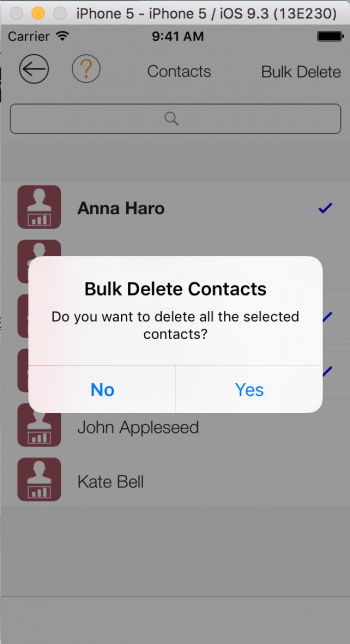 Currently, we support bulk delete for contacts. We plan to add it for other items such as old/completed tasks, appointments, projects, etc. 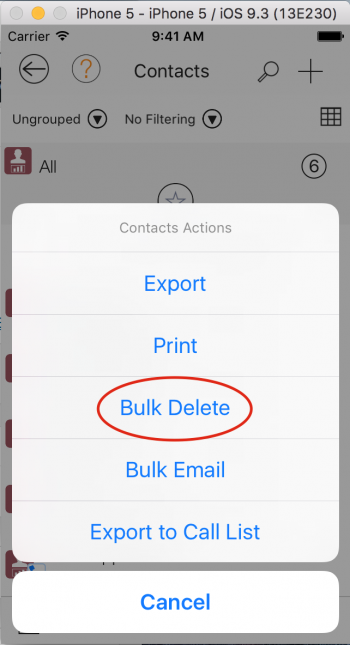 This help page shows how to do bulk delete for contacts. 1. 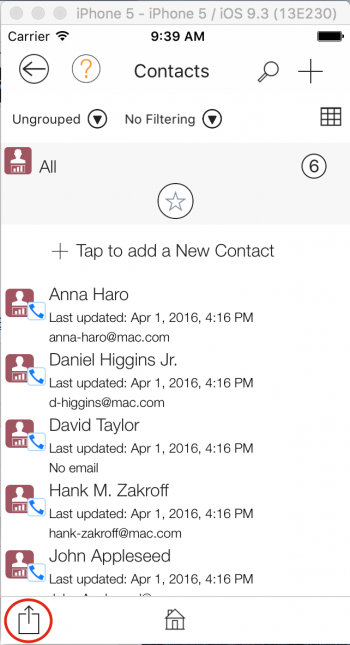 From the dashboard tap the “Contacts” tile on the “Contacts” card. 2. 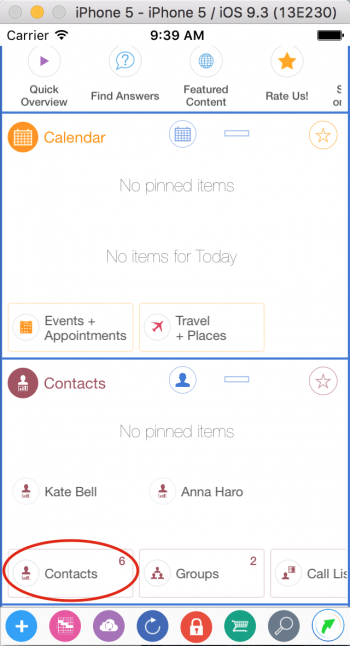 From the Contacts view tap the action button in the lower left hand corner. 3. Select the “Bulk Delete” menu option. 4. 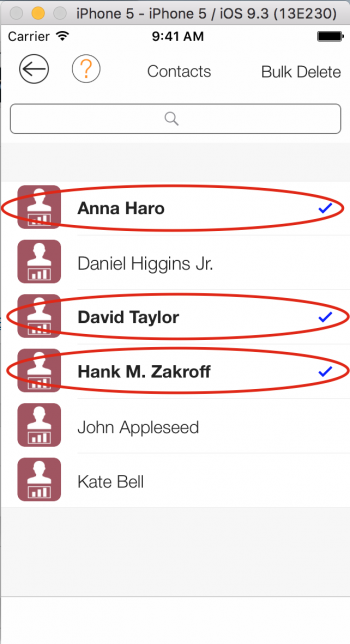 Select the contacts that you want to delete. Then tap the “Bulk Delete” button. 5. 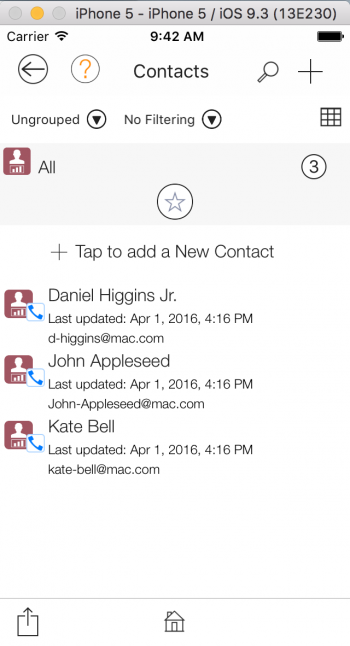 Next, you’ll be prompted to confirm deleting the contacts. 6. After tapping “Yes” to delete the contacts you’ll be taken back to the Contacts view, and you can see the contacts have been deleted.